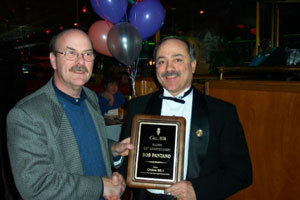 On Saturday evening, February 23, 2002, 7:00 p.m., Bob Pantano celebrated his 25th anniversary on FM radio. 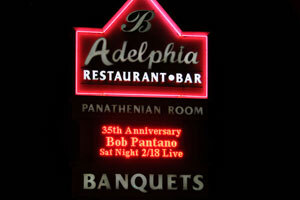 The Saturday Night Dance Party is a Philadelphia tradition originally broadcast on WCAU-FM 98 (now Oldies 98.1 WOGL) and hosted by the man who pioneered the live radio dance party in Philadelphia-BOB PANTANO. Click here to see the Courier Post write-up. Saturday night, if 30 years is our guide, Bob Pantano will be holding a microphone while hundreds of people dance in front of him. Pantano has not missed one of his Saturday Night Dance Party shows since Jan. 12, 1985 - and that was because he was getting married the next day. A broken leg 12 years ago couldn't stop him. 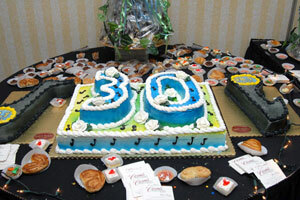 Click here to see the Inquirer Staff Writer Michael Klein write-up. 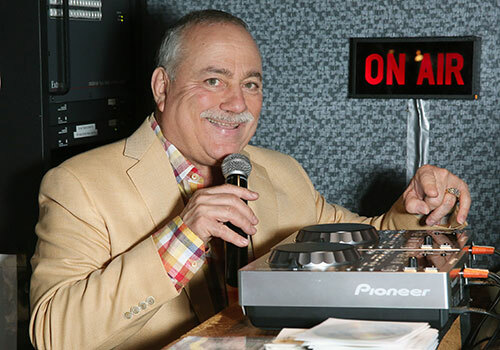 Bob Pantano has brought fun, love and dancing to people for more than 35 years as a disc jockey spinning classic Motown and disco tunes.